One chilly October evening in 1972, in the High Sierras of California, a group waited around a fire for an elusive sound. They had set up camp at 8,500 feet on a forested hillside above a small spring and creek. Fifteen feet uphill, they had taped a Sony TC-126 recorder to the trunk of a seedling pine. Then they waited. A little after 9 p.m., just as they were settling into their lean-to shelter, they heard a whistling noise followed by something more like chattering in a foreign language. This was what they had come for. Bigfoot is a quintessentially American mystery. There are alleged sightings documented back to the mid-1800s and Sasquatch-like creatures are common in Northwestern Native American folklore. But not until the second half of the 20th century did the Bigfoot story take hold of the public consciousness, partly through a Smithsonian-backed documentary and various books. 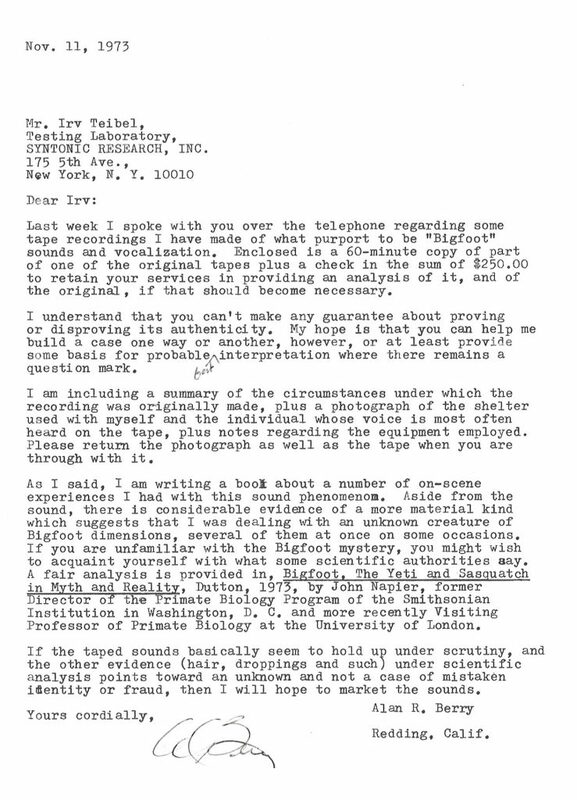 In 1975, Alan wrote Irv to ask his permission to use Syntonic’s findings in his own book. In the note, he mentioned the growing interest in the phenomenon and pitched Syntonic to release a “Bi-Centennial Bigfoot album.” Alan had apparently already licensed the sounds to a few films but he was hoping to release them commercially. Unfortunately, Irv’s reply to the record pitch is lost. Over the years, Alan and his colleague Ron Morehead’s “Sierra Sounds” became one of the hallmark pieces of evidence for the believers. In the mid-70s, Alan wrote up his adventures in the popular book, Bigfoot (1976), and later took a break from cryptozoology to work as a mining geologist. The Syntonic-Sierra trail goes cold until the mid-90s when Alan planned to release the the sounds on CD. He again asked Irv’s permission to use Syntonic’s findings which Alan released as The Bigfoot Recordings (1996) with narration by Jonathan Frakes of Star Trek: The Next Generation. 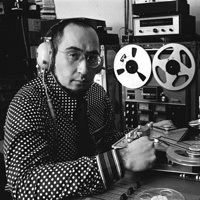 It’s hard to gauge what Irv really thought of the Bigfoot recordings. 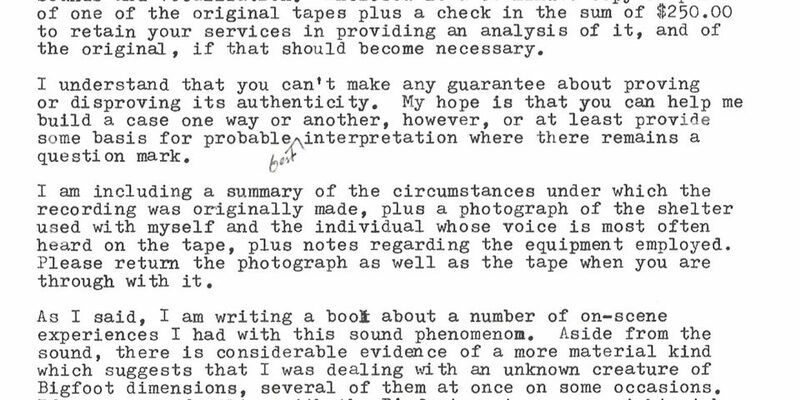 He clearly took his analysis seriously and was one of the first experts to examine the tapes which encouraged Alan to seek other sympathetic ears. In the end, the Bigfoot correspondence is a fascinating side story in the Syntonic tale. All we know for sure is that the mystery of Bigfoot lives on. Alan passed away in 2012 but his colleague Ron Morehead, who joined him on a number of recording projects, was kind enough to share his thoughts with me.